Known worldwide as a vibrant, intimate town with award-winning beaches, Delray Beach, Florida is home to Apricot Lane Boutique. Truly a family-owned-and-operated business, this fun and fashionable women’s clothing store in Delray Beach is run by Barry and Phyllis Shapiro and their son Matthew. Barry brings his longtime expertise as a fashion retailer to the Apricot Lane brand, having worked for Lord & Taylor, Saks, Ann Taylor, and Chico’s before making the decision to open his own Apricot Lane Boutique store. Today, the Shapiro family prides themselves in offering stylish and affordable clothing and accessories to fit any budget, with lines like Vintage Havana, Ocean Drive, Flying Monkey, Lucy Love, Elan, Suzette, Naked Zebra, and Sneak Peek, to name a few. The Shapiro family operates a women’s clothing boutique in Delray Beach that puts customer service first. Years of retailing has taught them that customers have choices in where to shop, and making Apricot Lane Boutique their go-to source for high-quality and affordable women’s clothing, accessories, and gifts is an important distinction. That’s why their team of warm and friendly associates makes sure to create a relaxed-but-attentive environment, where women of all ages can take their time browsing and familiarizing themselves with the latest fashions. And if they’re not sure what to look for, shoppers can be sure the Apricot Lane team will be there to help them discover an outfit that speaks to them! 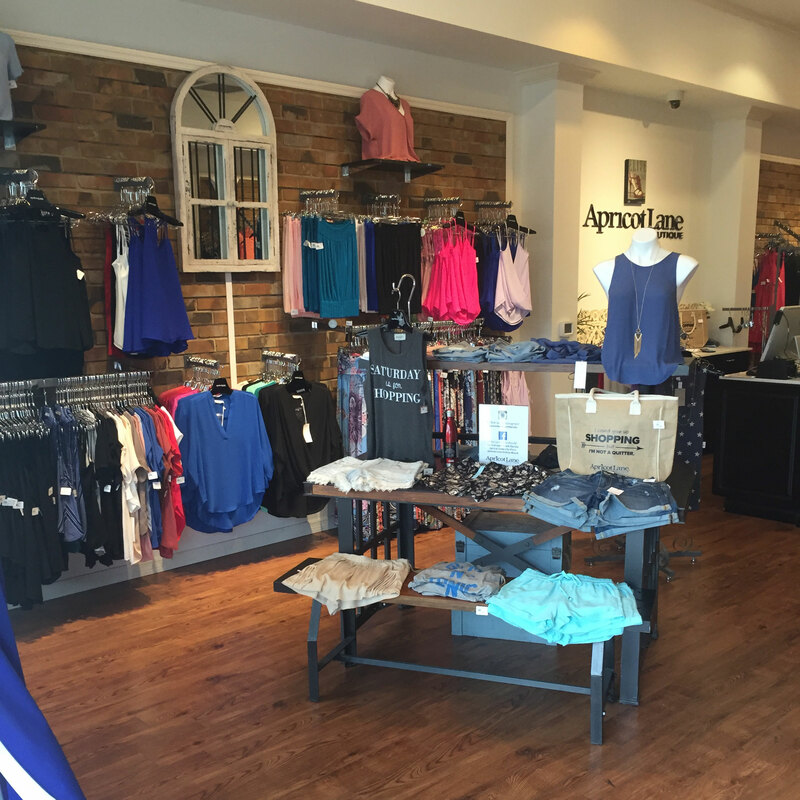 Today, there are over 75 Apricot Lane Boutique stores across the country, representing over 23 years of franchise history. 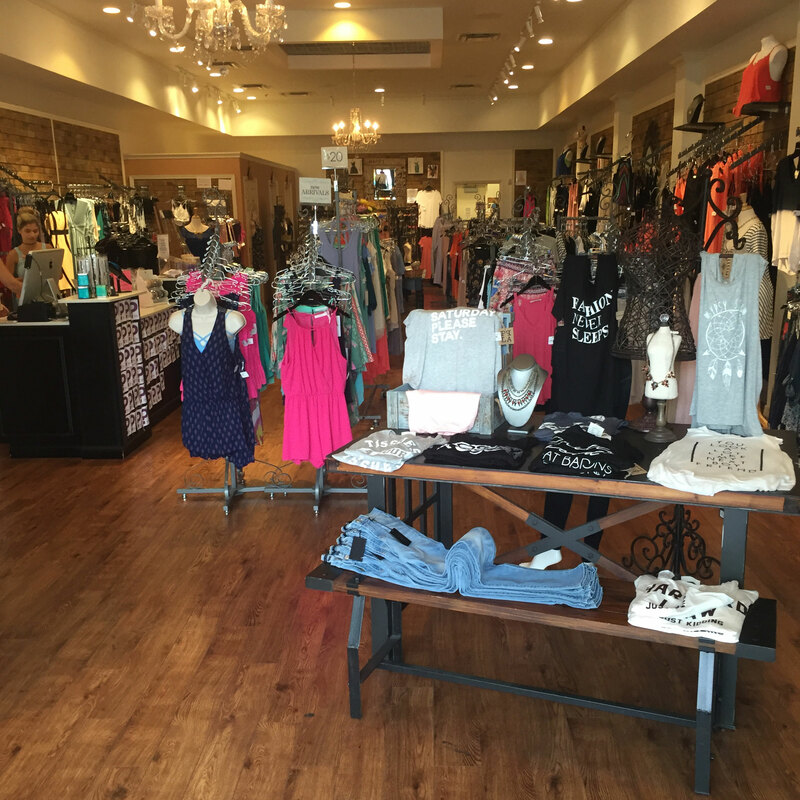 Apricot Lane Boutique in Delray Beach is proud to be part of that family, and proud to be part of the buying power that allows each independently-owned-and-operated location to offer the highest-quality inventory at competitive prices. Each location’s unique inventory is a reflection of its community, and the women who live there. Come see what sets Apricot Lane Boutique in Delray Beach apart from other women’s clothing stores. You’ll be glad you did!